Switch Pkmn. Trainer Charizard with Pkmn. Trainer's Squirtle. 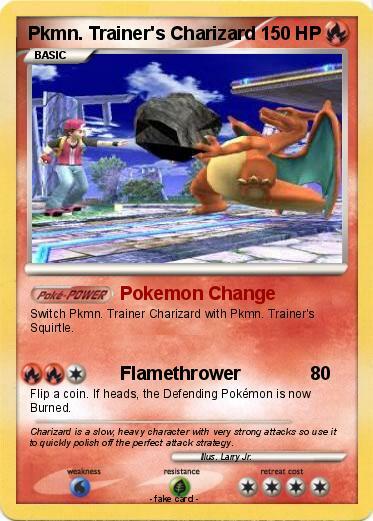 Comments : Charizard is a slow, heavy character with very strong attacks so use it to quickly polish off the perfect attack strategy.